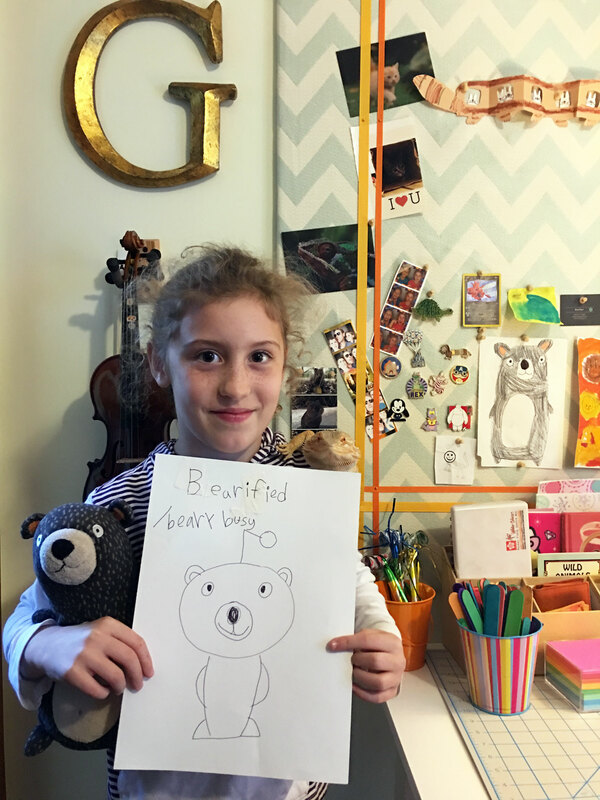 Go behind the scenes with Beary Busy as Grace shares her inspiration for her stop motion animated movies featuring her toy bear. 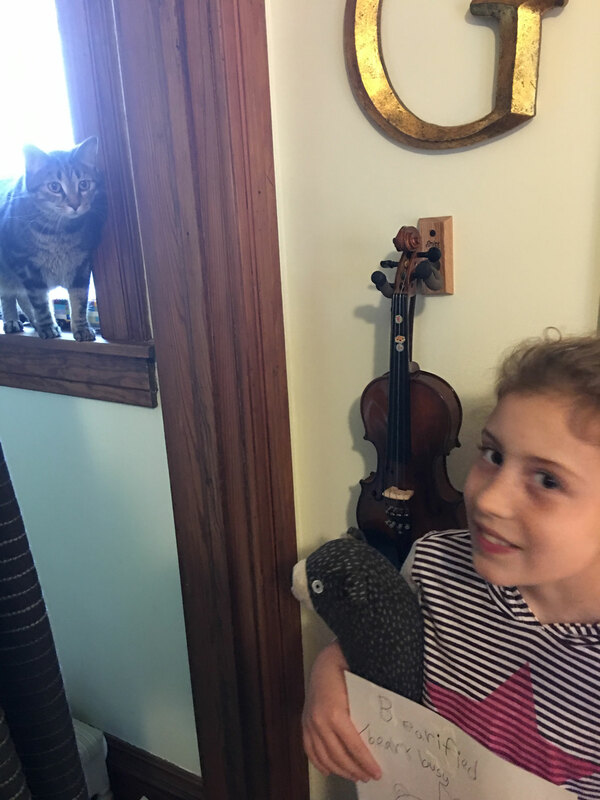 In this interview, Grace shares how she makes her stop motion Beary movies, her biggest problems with Thor – the bearded dragon, her artwork and favorite movies (My Neighbor Totoro, Secret Lives of Pets), and much more! And see her new vehicle invention: A Black Hole On Wheels. Have a Beary Nice Day! 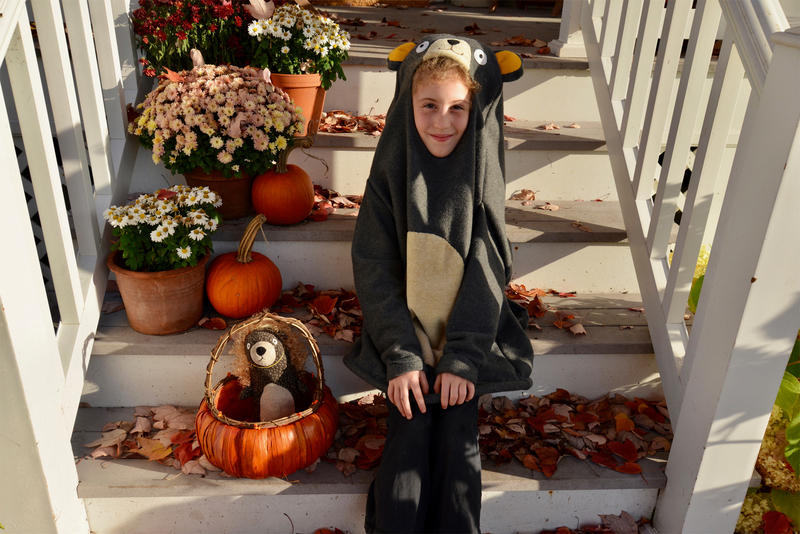 This Halloween, Grace went as Beary, and Beary went as Grace! But Orange Dog is a stow away! Where Is Bear? Bear Is There. 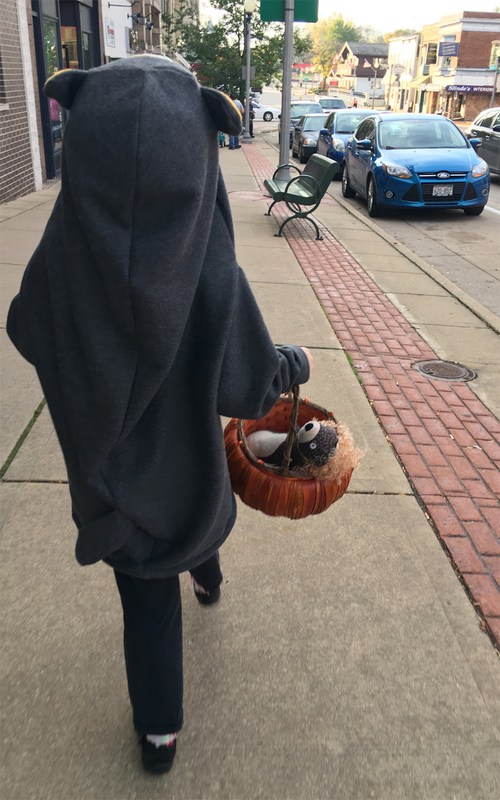 Did you find Beary Busy? 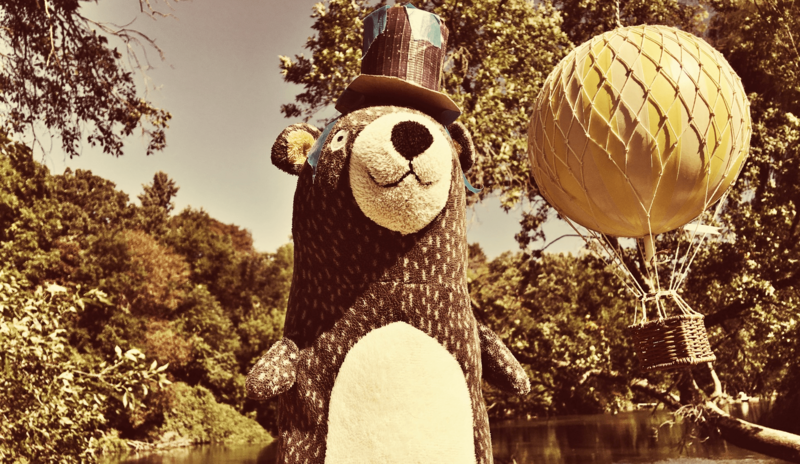 Old-timey photo of Beary’s Great-Grandpa, Sir Beary. He emigrated from Bearylin. 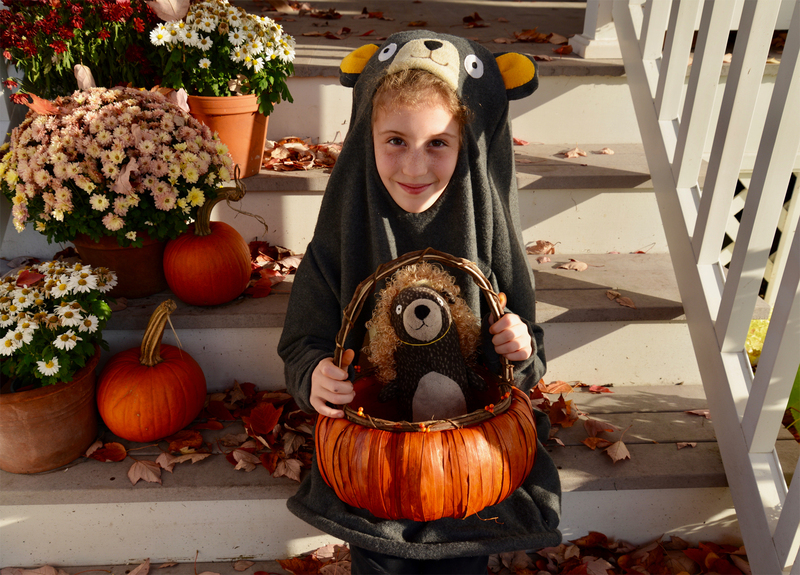 We received some bearrific photos from Beary Busy fans — as they share their Bearys. 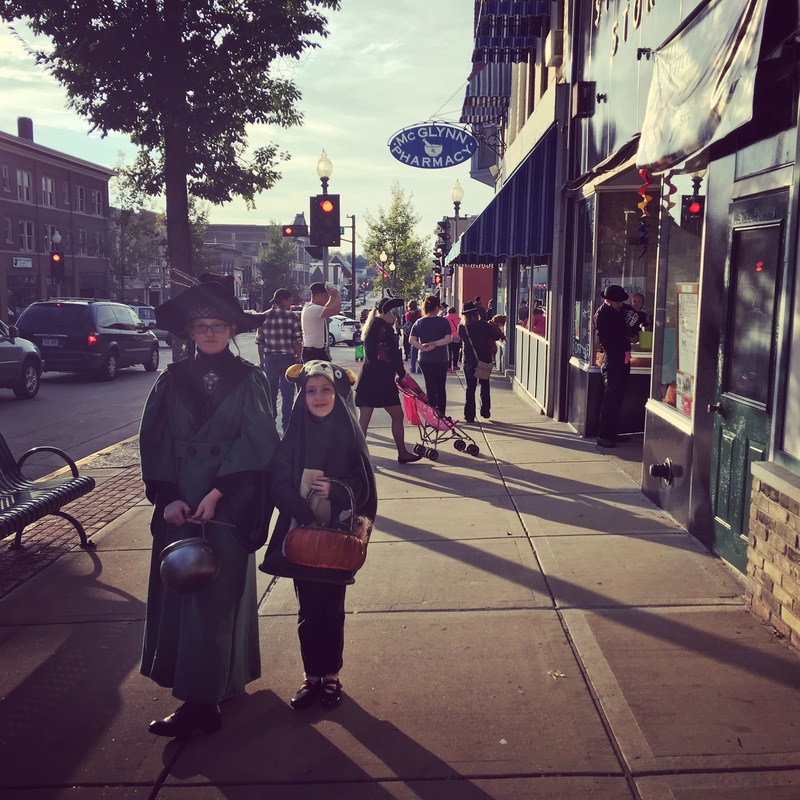 Submit your Beary photo to bearybusy@gmail.com. 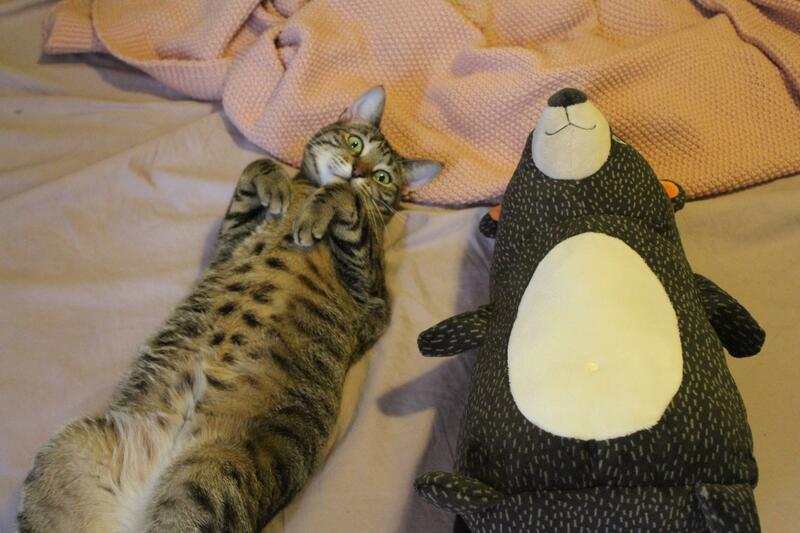 Have a Beary Nice Day! 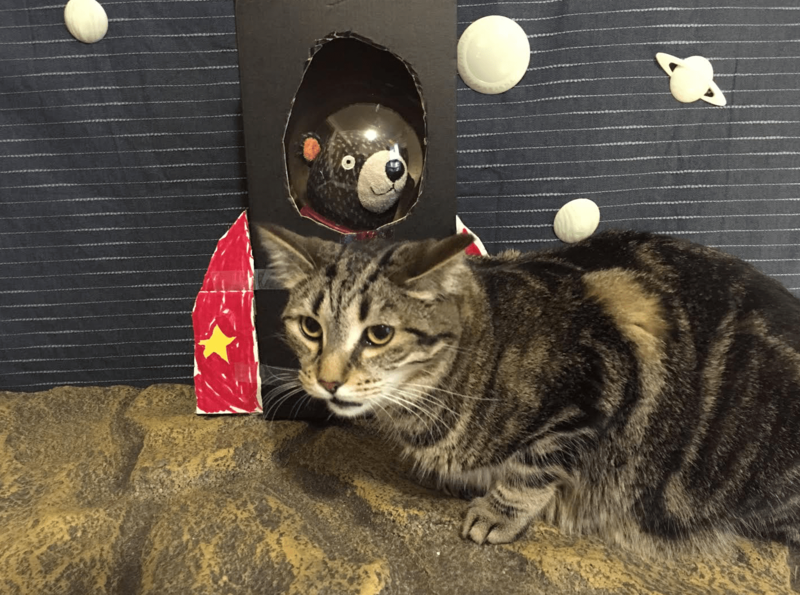 The making of Grace’s latest stop motion video of “Beary Goes To The Moon.” In the latest video, BearyBusy meets a space alien! 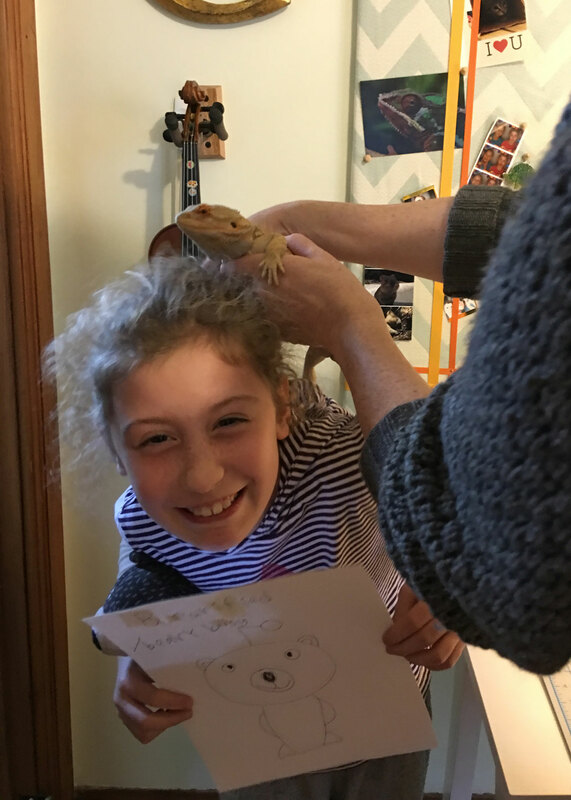 He’s Thor, a bearded dragon. Go behind the scenes with the “Making Of” Grace’s latest stop motion creation. In the latest BearyBusy adventure, Beary Goes To The Moon and meets an alien – Thor, the bearded dragon. Blast off with Beary. One spaceship, please! 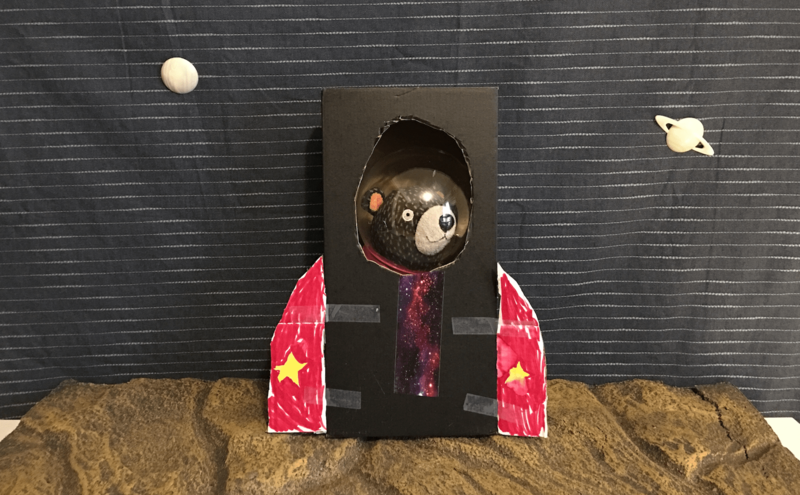 BearyBusy will blast off soon with a new video, coming shortly. 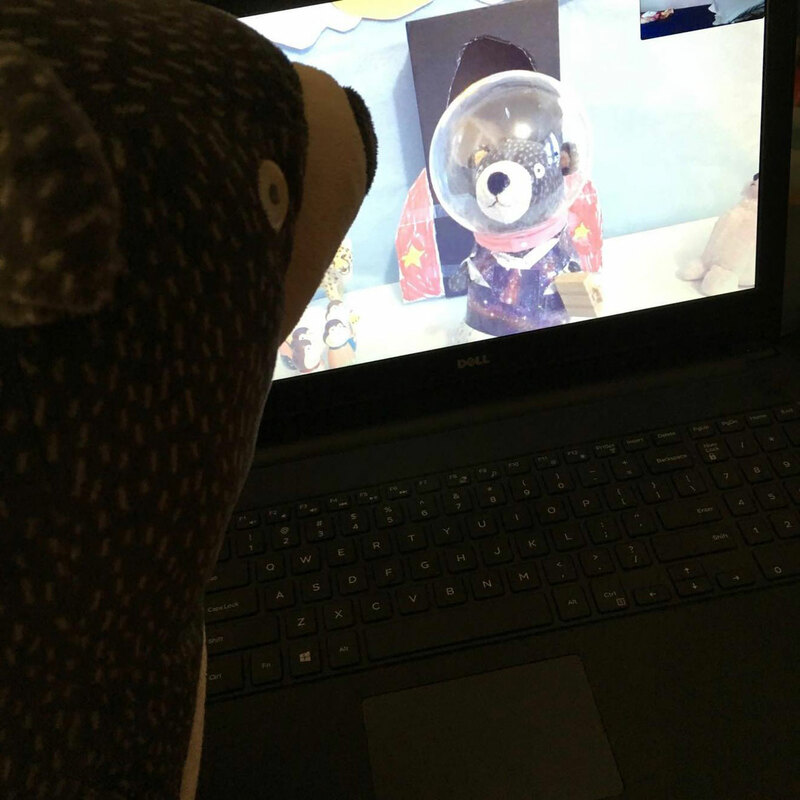 And Beary will meet his new space friend! 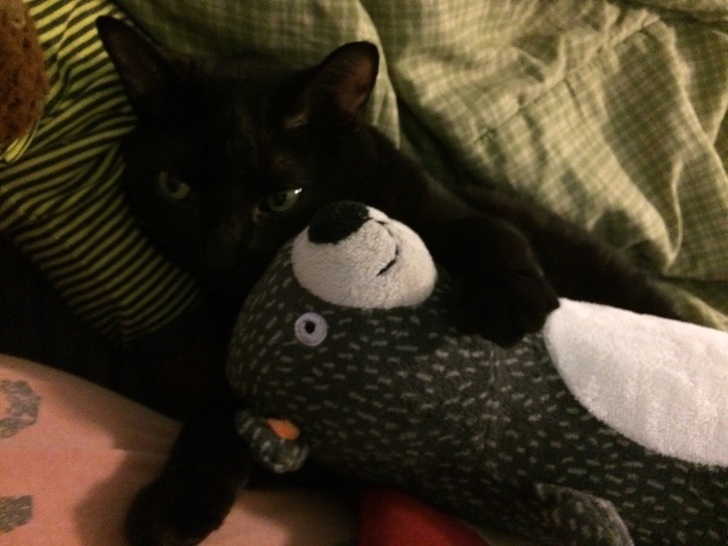 Beary hopes to do an AMA on Reddit soon! And we just added the Beary Busy subredddit — please subscribe. Have a Beary Nice Day! The adventures of BearyBusy by Grace. 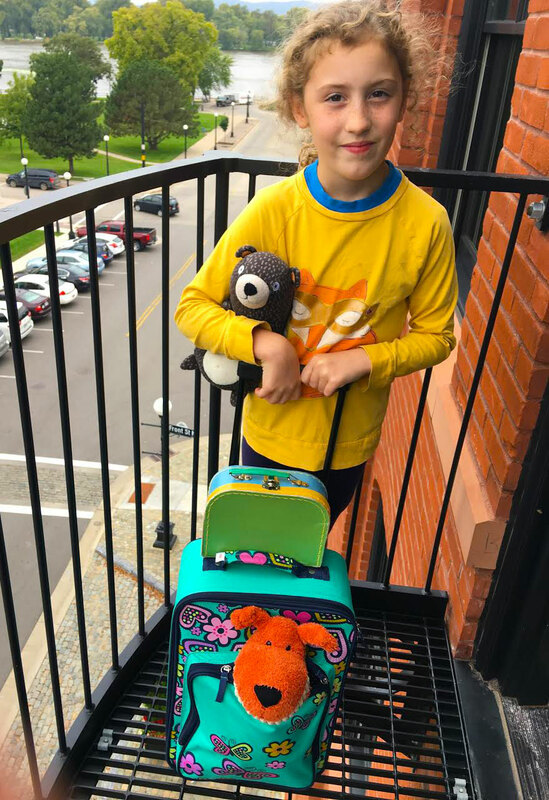 Grace is a talented 8 year old that has created amusing stop animation videos, photos and artwork starring her toy Beary, which have been featured on Mashable, Reddit, BuzzFeed and Huffington Post. The Beary Busy stop animations videos and artwork are 100% created by Grace. We hope you enjoy BearyBusy's adventures and that a smile comes to your face. Have a Beary Nice Day!